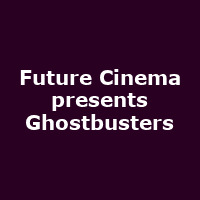 "Future Cinema, by Secret Cinema, presents Ghostbusters, the Live Cinema experience at the Sedgewick Hotel, launching this Halloween. The Sedgewick Hotel, New York City, is haunted by the ghosts of its former staff and guests. 'Who Ya Gonna Call?' - The Ghostbusters."